When heating, The Cover can not exceed ten minutes once. The material is microwave-safe, food-safe, PBA-free. Keep your microwave clean. The Steam vents can prevent the liquid from splattering anywhere, It fits most dishes, plates, bowls. · The Hover Cover with good quality and top material keeps your microwave clean and prevents the food from splattering when heating. 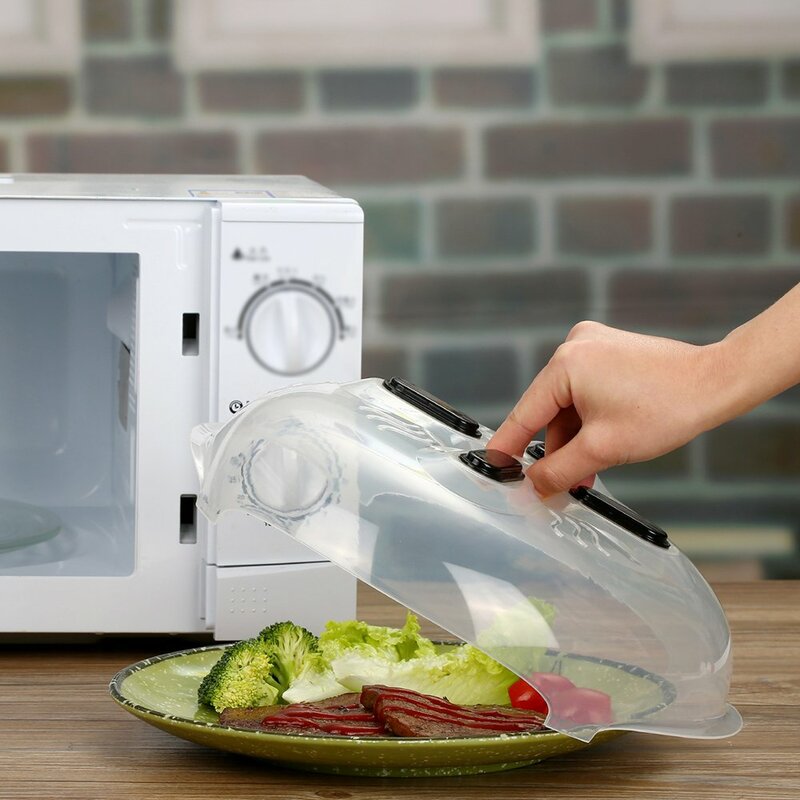 · User-friendly design mit Steam Vent is convenient to release steam, useful for keeping your food warm. · Handy Design to save your space, The cover is magnetic to stick on the top of the microwave with the large 11.5" size fits most plates, bowls & platters. · Food-grade PP material, BPA-free, FDA-certified, The Cover is safe enough to heat up to 150 degrees Celsius.